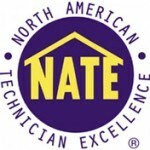 Headquartered in Arlington, VA., NATE was founded in 1997 and is the nation’s largest non-profit certification organization for heating, ventilation, air conditioning and refrigeration technicians. NATE’s certification tests represent real world working knowledge of HVAC and HVACR systems and candidates can earn installation and/or service certification in one or more specialty areas. The ACCA is a group of over 4,000 air conditioning contractors who work together to improve our industry, promote good practices, and keep homes and buildings safe, clean and comfortable. As the nation’s first full-scale clean energy finance authority, CEFIA will leverage public and private funds to drive investment and scale up clean energy deployment in Connecticut. We offer incentives and innovative low-cost financing to encourage homeowners, companies, municipalities, and other institutions to support renewable energy and energy efficiency. ENERGY STAR is a joint program of the U.S. Environmental Protection Agency and the U.S. Department of Energy helping us all save money and protect the environment through energy efficient products and practices. Results are already adding up. Americans, with the help of ENERGY STAR, saved enough energy in 2010 alone to avoid greenhouse gas emissions equivalent to those from 33 million cars- all while saving nearly $18 billion on their utility bills. 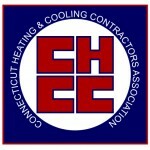 Organized in 1972, the Connecticut Heating and Cooling Contractors Association is an independent non-profit trade association with membership open to all state licensed (merit shop) heating, refrigeration and air-conditioning contractors, sheetmetal contractors and plumbers that employ licensed mechanics according to state law. It is also open to affiliated members representing manufacturers, wholesale suppliers, dealers, and other HVAC related firms.